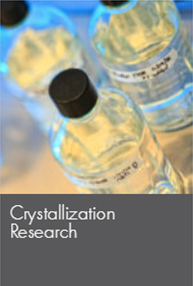 The High-Throughput Crystallization Screening Center performs crystal-growth screening experiments in 1,536-well microassay plates for both soluble and membrane biological macromolecules. You send the sample, we do the rest. 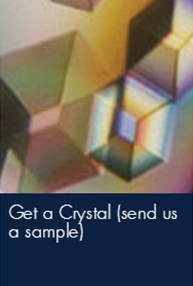 Click ‘Get a Crystal‘ for details. From February 2000, the laboratory has been used to set up over 24 million crystallization experiments on >16,000 biological macromolecules. 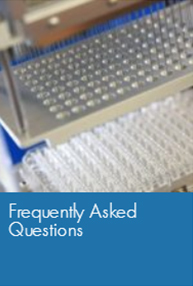 Over 1,000 laboratories worldwide have used and benefited from the service. At the HTCSC 1,536 different chemical conditions are sampled representing many of the commercially available crystallization screens. Each condition is imaged visually over a period of six weeks. Second Order Non-linear Imaging of Chiral Crystals (SONICC) and UV Two Photon Emitted Fluorescence (UV-TPEF) imaging of crystallization screening also take place to identify biological crystals not picked up visually or those obscured by precipitate. For each crystallization experiment run at the HTCSC, 13,824 images are generated. Currently, a user has to visually inspect each of those images to determine if a crystal has formed or not, a major investment of person-time. 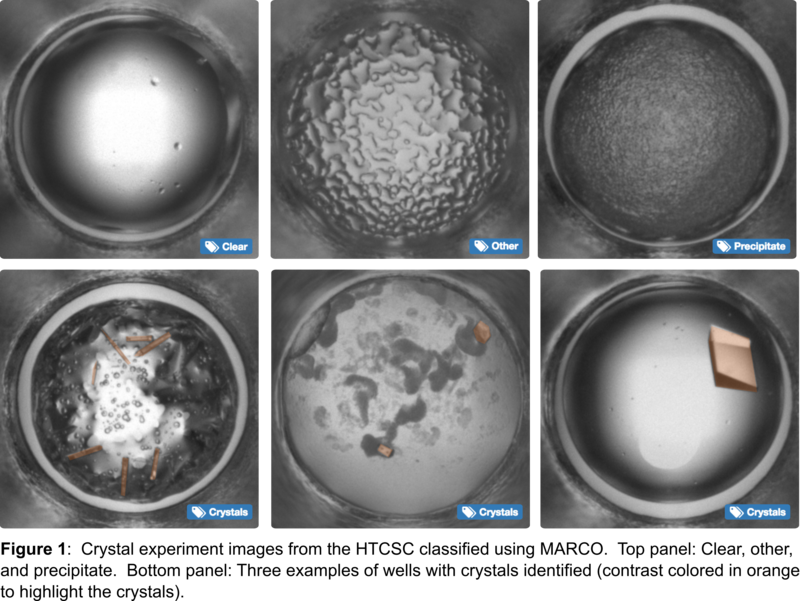 The Machine Recognition of Crystallization Outcomes (MARCO) initiative, a multi-institutional collaboration, has assembled a massive database of annotated images of macromolecular crystallization experiments (including those from the HTCSC). 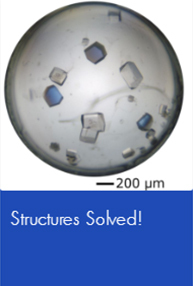 The MARCO initiative has developed an innovative algorithm to apply machine learning to these images, taking a major step forward in automatic image analysis of crystallization experiments. The paper (Classification of crystallization outcomes using deep convolutional neural networks) is just out in PLoS ONE! We are working to implement this algorithm for HTCSC users for automatic classification of images – stay tuned! Color images, and SONICC and UV-TPEF images are integrated with the analysis software provided as part of the service. 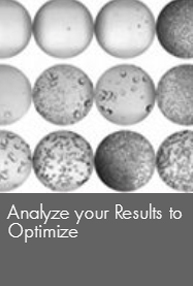 Lead crystallization conditions can be identified and the complete set of results used to analyze the samples solubility phase diagram. Current list of crystallization cocktails. This service is for academic and other not-for-profit users only. Our commercial users go through ‘the structure people‘, our friends at HarkerBIO (www.harkerbio.com). Formulatrix hosted a webinar on Protein Crystallization Automation on October 23, 2018 – links to Session One and Session Two (Dr. Bowman spoke about the HTCSC in Session Two). Starting in May 2018 we will have a new online submission form. The new online forms are now available! You will receive an email confirmation from us for your reservation. Once your sample is ready to ship, please fill out the online submission form including payment information.